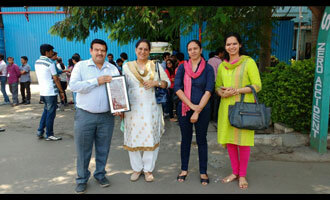 On 18th March, around 100 MMS students of MET Institute of Management went for a one day Industrial Visit to Pune. Chaphekar Engineering Pvt Ltd. located in Hinjewadi, Pune was the first Company visited. They are into assembling of Commercial Vehicles.